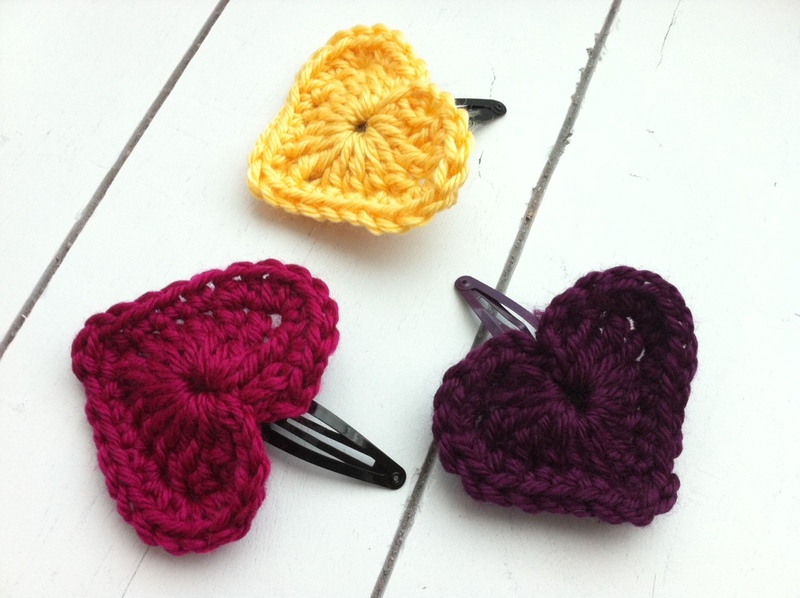 After crocheting up some fun hearts and flowers, I FINALLY figured out how to attach the tiny motifs to hair clips! Here is what the backs look like with tiny little “hats” sewn onto the clips to keep the motif in place. 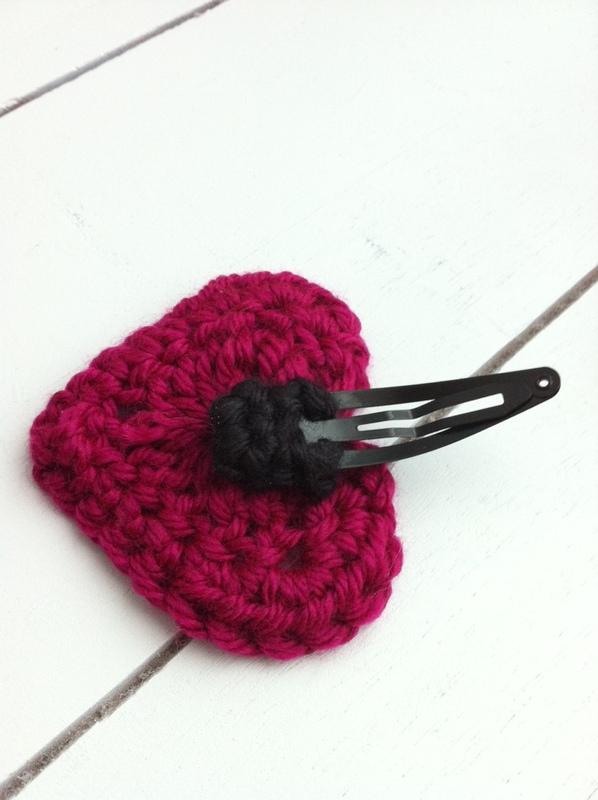 Idea for how to attach the little guy came from Crocheterie. 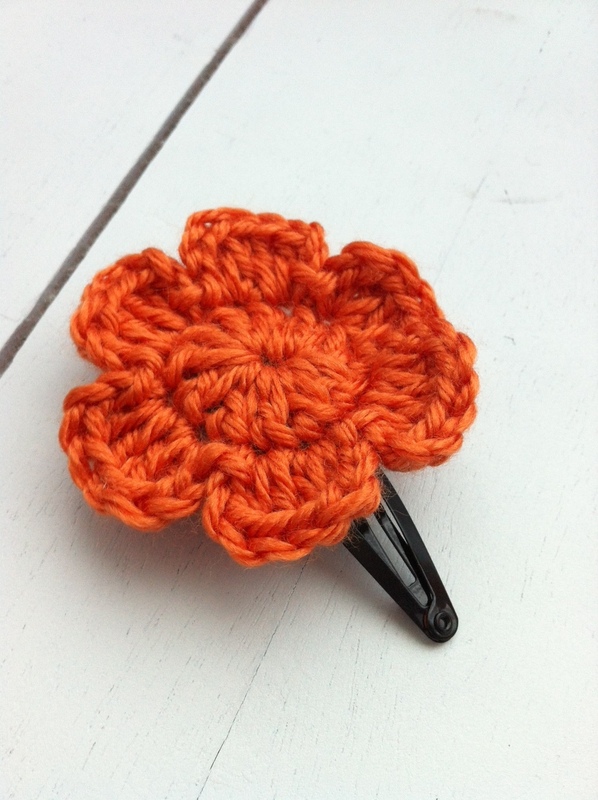 She’s got a good post about how to attach flowers to hair clips. Unfortunately I couldn’t really follow along with her tutorial because I wasnt working with the same materials she used. 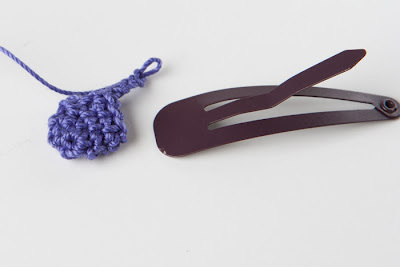 So I took my worsted yarn (she used yarn thread) and created my own little clip “hat” pattern using the magic circle method. The pattern for specific heart is here at Skip To My Lou. 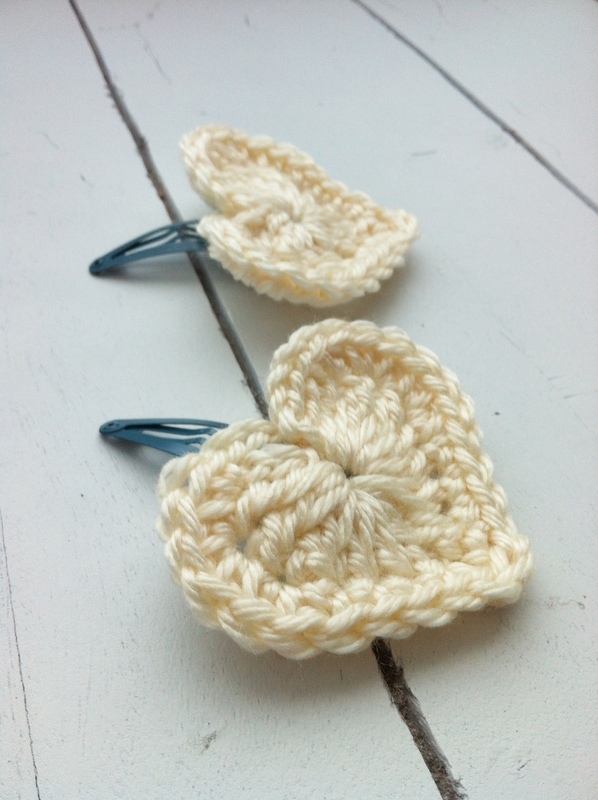 I’ve tried a few different crochet heart patterns and this one is by far my favorite. Can’t wait to see wha the response is for these little gems at our craft fair next week! I agree with you about the heart pattern, it looks great. Thank you for sharing this method! The hair clips are super cute!